Turnips are packed with Vitamin C, Vitamin E and the B Vitamins, It also contains potassium and fiber. 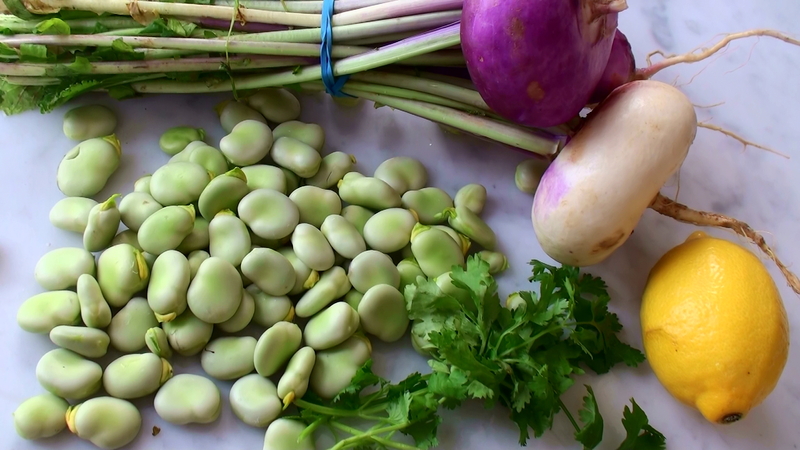 Broad beans are full of folate (folic acid) vitamin B6, Iron, Copper and manganese. And because they are grown locally and dispatched pronto to my door, they really are bursting with goodness! Zest from 1 lemon and some of the juice to taste. Gently boil the cut turnips for about 5 minutes, add the broad beans and simmer for another 2 minutes. Drain and put in cold water. Now you can peel off the thick skin of the pods if you thick it’s to rough. 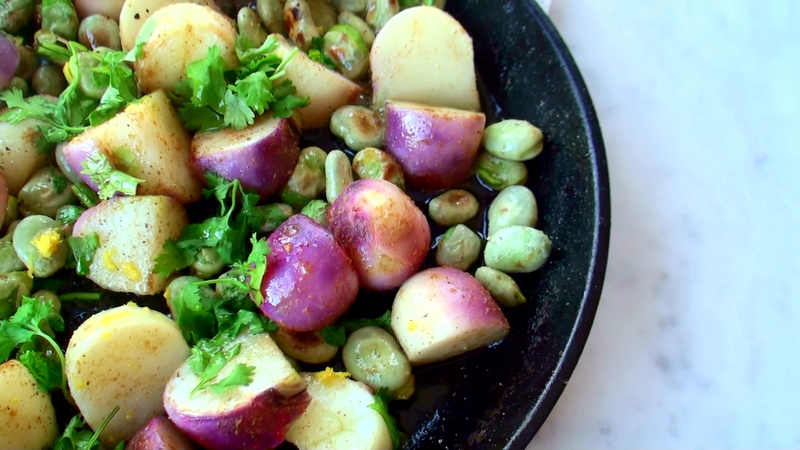 Heat up the raw coconut oil in a cast iron pan or other pan (don’t use non-stick), add the turnips and broad beans and gently fried until it’s got a nice colour. Add the lemon, cumin, salt and pepper, fresh coriander, salt & pepper. Looks delicious! I’ve never fried with coconut oil!